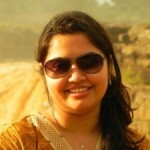 India, being the second most populous country of the world, has a rich mixture of people and customs. The country has diverse regional races, who have their own cultures and which are reflected in their clothing habits, food habits, languages, scriptures, religious beliefs, etc. As you move down from northern India to southern India or traverse from western India to eastern India, you will note a complete change in the regional cuisines. It may amaze you that how a single dish can have such multiple forms with different unique tastes. The essence of popular regional foods has a rich historical heritage and one can clearly note the impact of ancient civilizations, which invaded and lived in India like the Mughals, the British, etc. on the various food items. Now as the world is increasingly becoming aware of healthy food habits and its impact on our daily lives, it becomes important to know how a particular food item has an impact on our body by thoroughly noting down the amount of calories it imparts. It is important to customize your daily calorie intake. The following list of popular regional food items along with their calorie count will help you in doing so. It is a traditional Indian bread, which is quite thin. 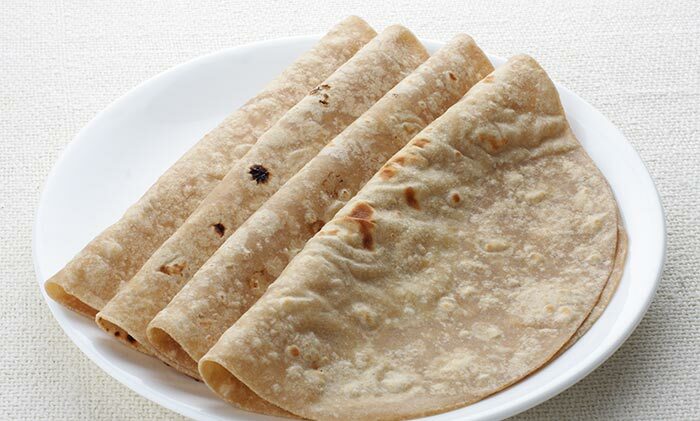 One 6-inch size roti offers 85 kilocalories. The thicker version is called parantha, which can be stuffed with potato, spinach, onion or any vegetable you like and it offers 180 kilocalories. It is a typical pulse used in northern India and 150 grams of it has 104 kilocalories without oil seasoning and 154 kilocalories with oil seasoning. It is a staple pulse in North India and tastes good with rice. It also contains a high quantity of protein. So, it is very good for your health and muscle building. 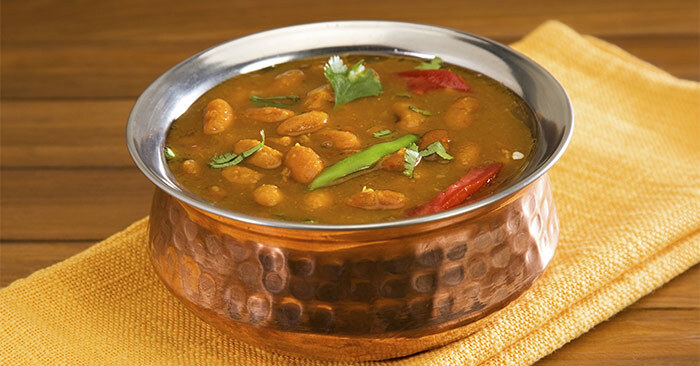 150 grams of rajma offers 153 kilocalories. 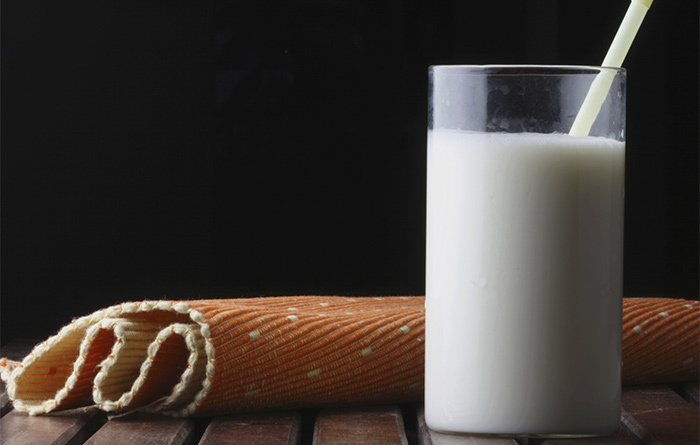 A unique drink made of curd and very famous in North India is available in both salty and sweet versions. The 200 ml of salty one contains 90 kilocalories, just the amount present in the plain curd and the sweet one accounts for 150 kilocalories, most of which comes from the sugar put in it. 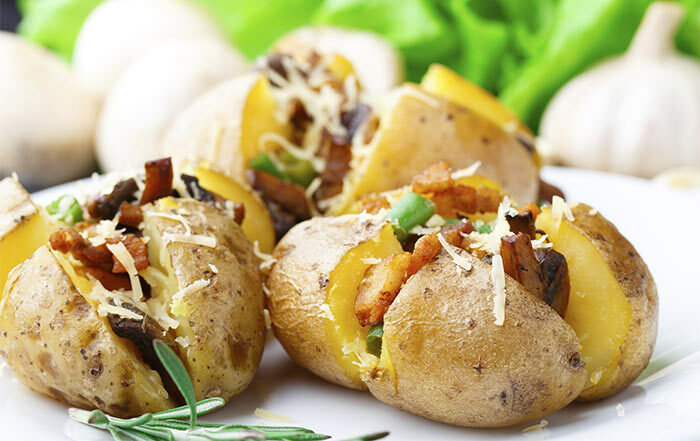 North Indians love to eat non-vegetarian food and it accounts for the major share of their calorie intake. The popular chicken tikka has 273 kilocalories for its six pieces while the chicken curry accounts for 485 kilocalories for 150 grams. A famous tandoori dish cooked in North India is sure to be present in all the special occasions. 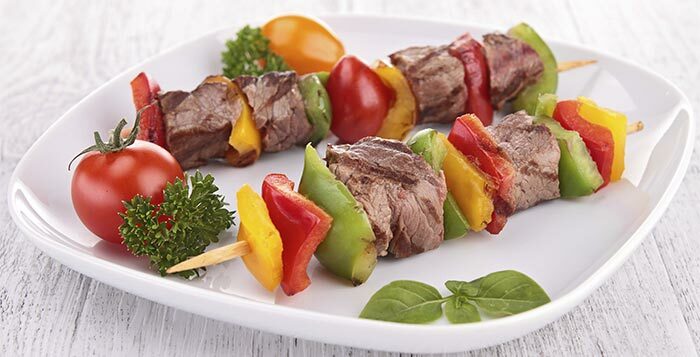 Four pieces of kebabs contain 308 kilocalories. 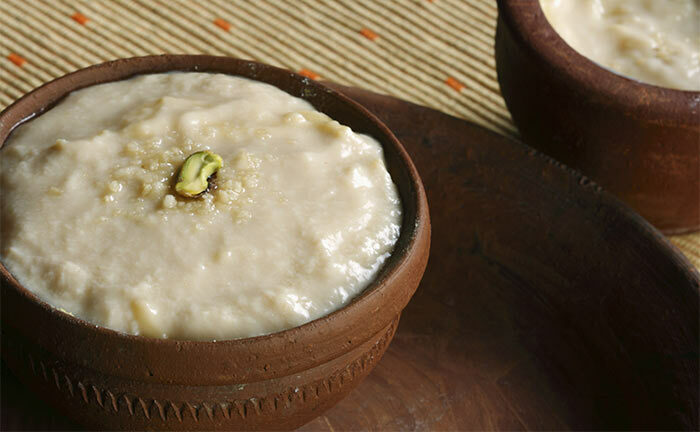 This is a typical sweet dish served as a dessert and made out of Indian cottage cheese. 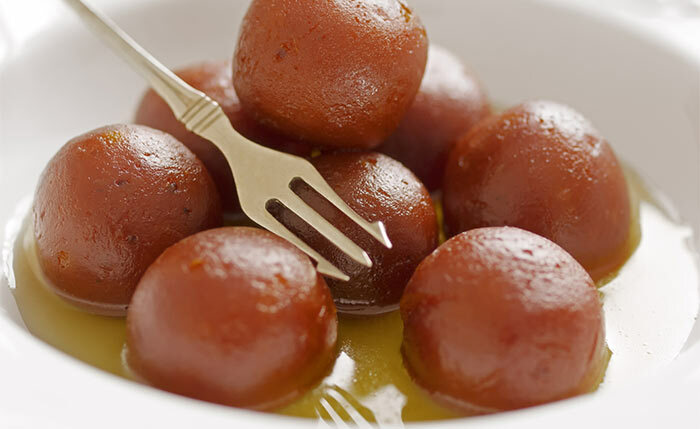 Two medium size gulabjamuns will add 280 kilocalories to your diet. 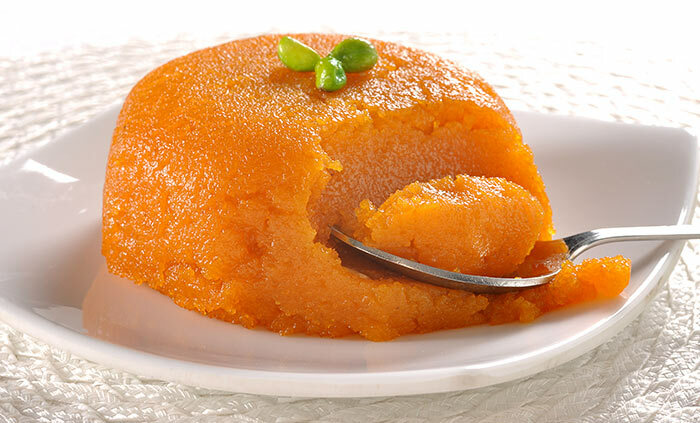 It is another sweet dish, which may be prepared from multiple ingredients like carrot, flour, etc. It is cooked in milk and baked in oven or left on gas till the entire milk evaporates. 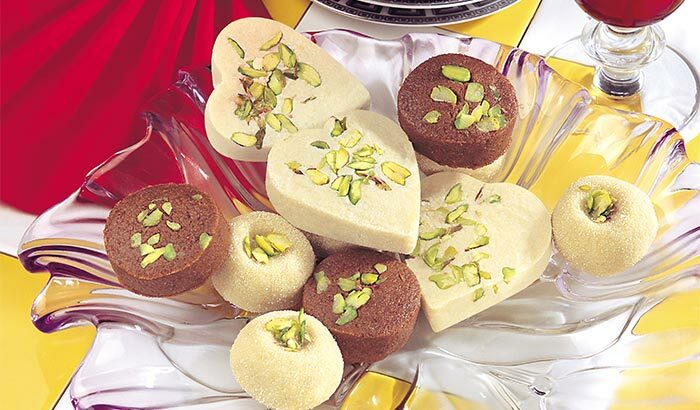 To add flavor, dry fruits can also be added to it. 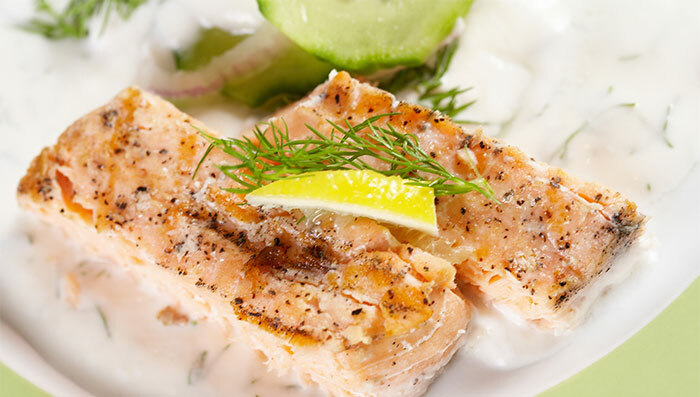 Such a rich essence of 100 grams of this sweet dish will add 331 kilocalories to your daily calorie count. 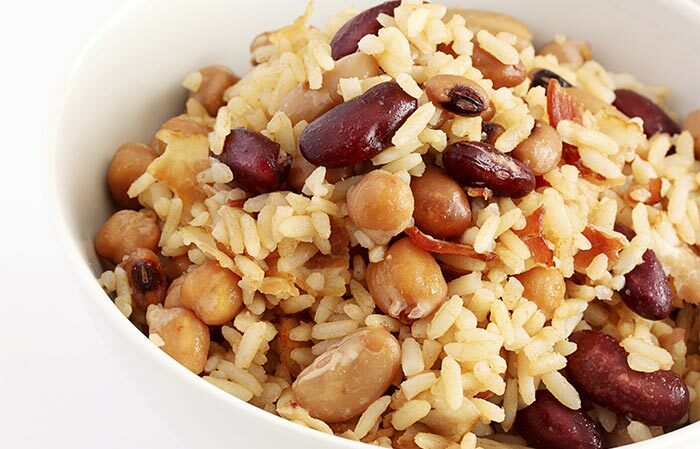 Rice is a staple sSuth Indian food and the people of this region are known to cook various types of rice. 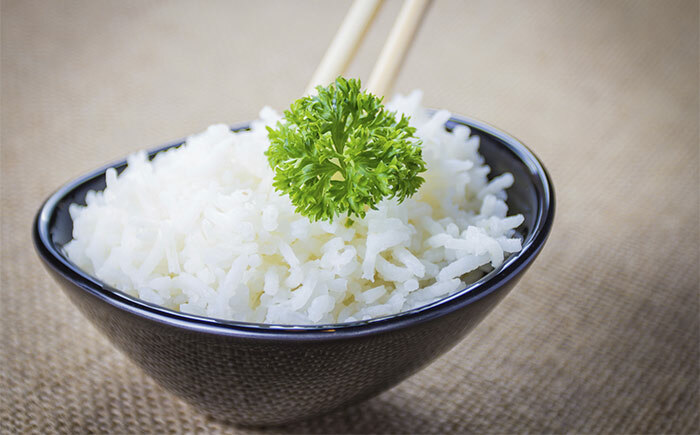 150 grams of plain rice carries 306 kilocalories, 150 grams tamarind rice carries 415 kilocalories and 300 grams of curd rice carries 433 kilocalories. Another interesting method of using rice in this part is by grinding it into thick paste and making pancakes out of them. They are locally called Dosa and Appam. 20-grams serving offers 70 kilocalories. South Indians are also potato lovers and some of the dishes they make are Potato Mooli Bhaji and Potato Okra Chilly. 150 grams of the former contains 196 kilocalories and a similar quantity of the latter contains 326 kilocalories. It is a very popular dish in this region. It is cooked in almost every household and is good for people, who want a low calorie diet as 150 grams of it only add up to 30 kilocalories. A dish made out of curd and served in a bowl with spicy seasonings and small cubes of some common vegetables or fried boondis is very popular. 80 ml of it accounts of 112 kilocalories and is good for health conscious people. It is one of the most popular dishes all over India and staple to this region. People coming to this region cannot go home without having a stomach full of biryani. 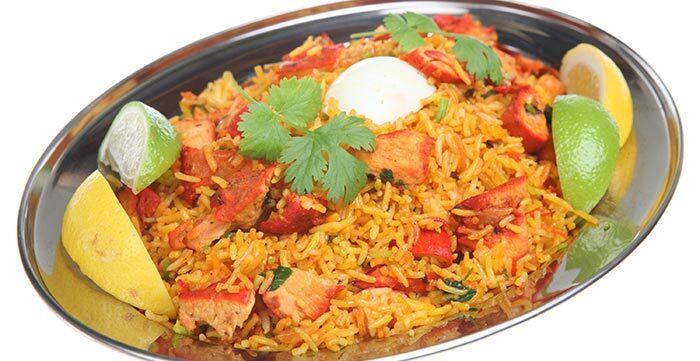 200 grams of chicken biryani amount to 470 kilocalories and the same quantity of mutton biryani adds to 450 kilocalories. Being closer to the coastline of India, fish is one of the commonly cooked dishes in this region. 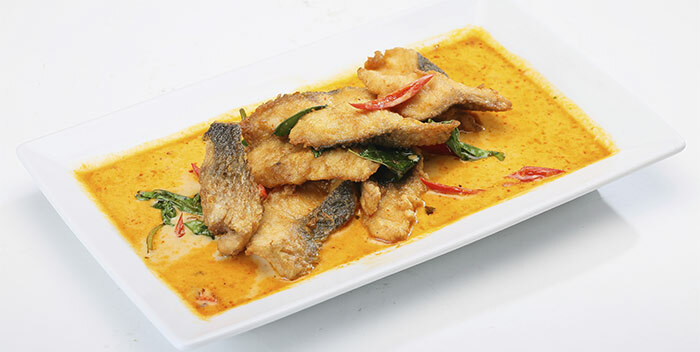 100 grams of fish fry contains 240 kilocalories while 200 grams of fish curry contains 460 kilocalories. Chicken is another popular non-vegetarian delicacy and Hyderabadi chicken is famous in the country. But, it is very high on calorie count with 200-grams serving adding to 700 kilocalories. 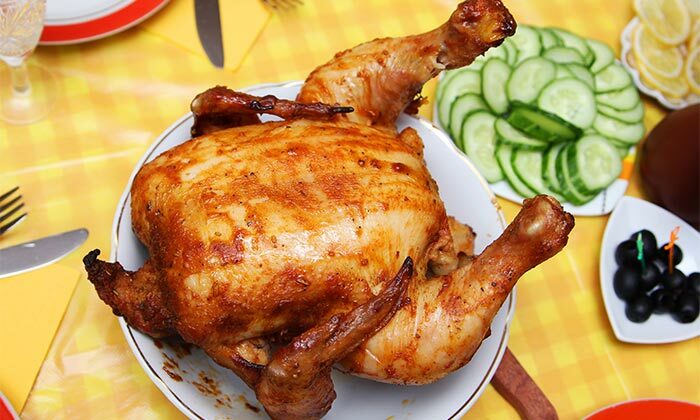 Other chicken dishes are chicken lollipop and chilli chicken, 200 grams of these dishes account for 300 kilocalories. It is a very common sweet dish in this region and is served as a dessert. 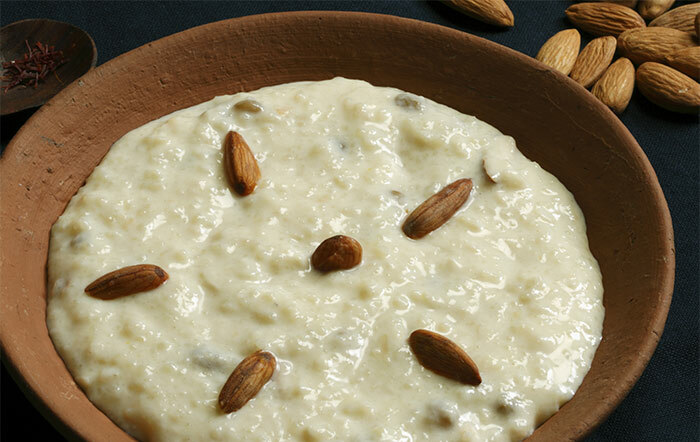 Kheer comprises rice cooked in milk along with dry fruits and rich spices like saffron and cardamom. 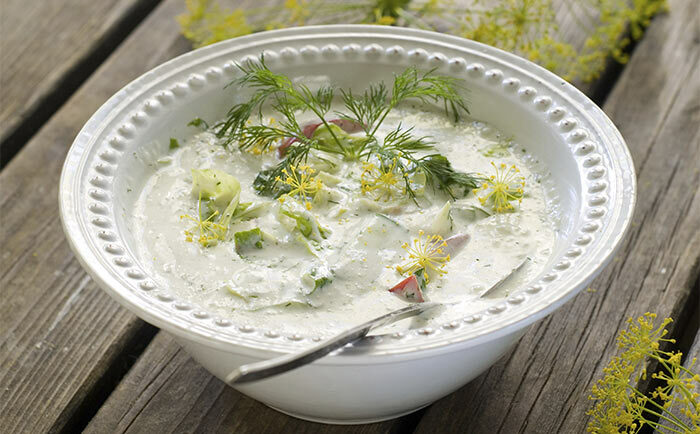 One medium sized bowl adds 95 to 120 calories to your diet. 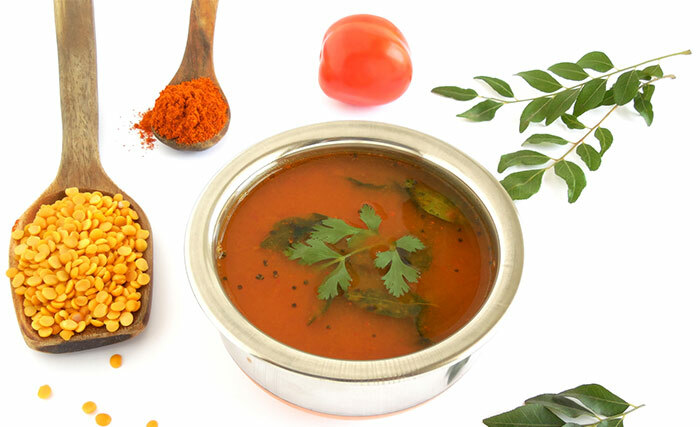 The western part of India comprising major states of Gujarat, Rajasthan and Maharashtra has an extensive cuisine, and gram flour seems to be very popular out there. 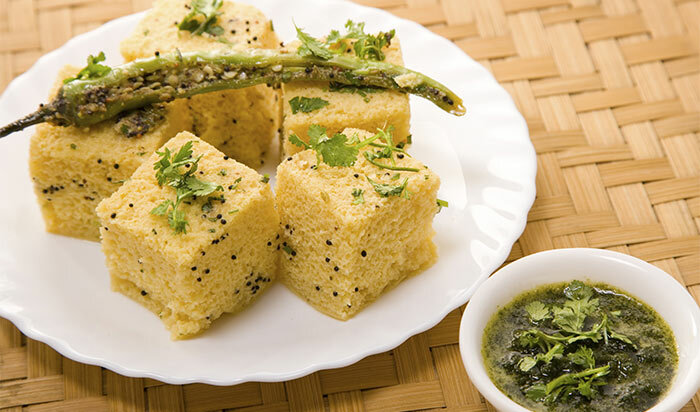 86 grams of serving of dhokla account for 136 calories. A crisp round ball made of wheat flour is a popular snack in the west and a piece of it provides 25 calories. 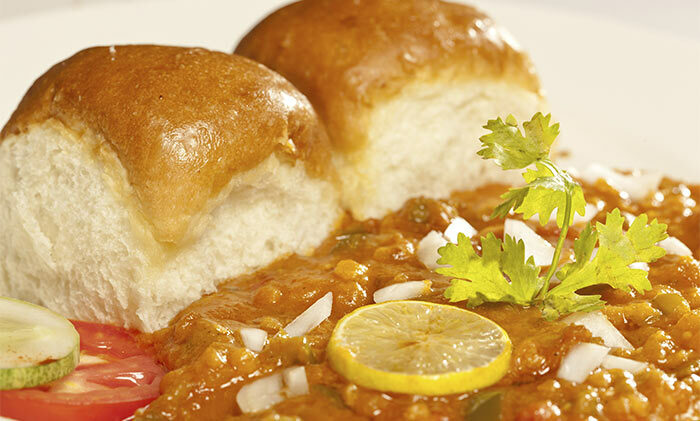 Specially shaped breads called pav served with spicy vegetable preparation made by mashing various boiled veggies is a famous western delicacy and 185 grams serving adds 123 calories to your diet. A twisted swirly dish made by frying wheat flour and then dipping into sugar syrup is a very tasty dessert and a single piece adds up to 150 calories. 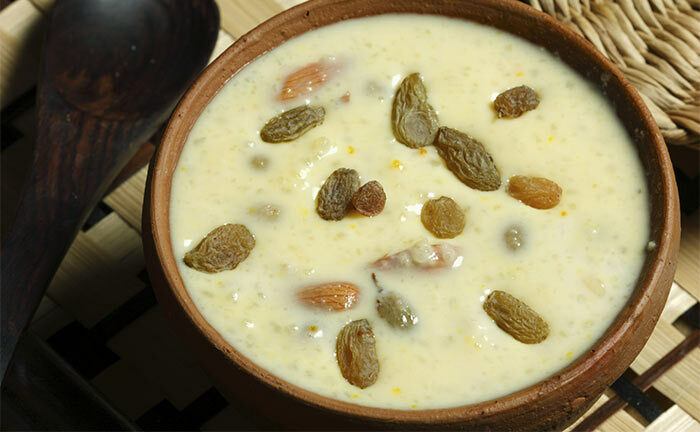 Sweet dish made of curd, fruits, dry fruits and spicy seasoning accounts for 130 calories for 50 grams serving. 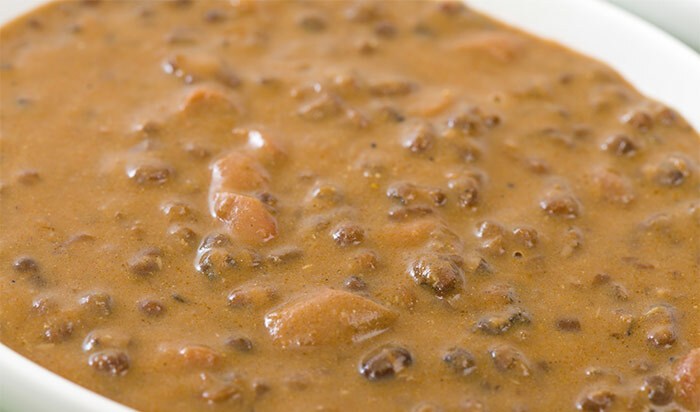 It is a popular Rajasthani dish regularly made on special occasions. 10 oz. serving of it accounts for 258 calories. 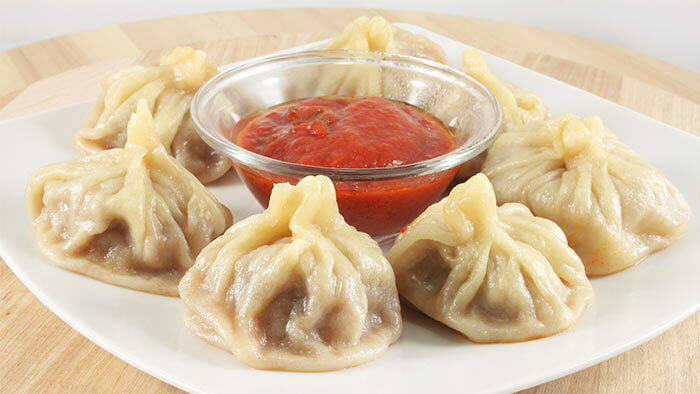 A very popular dish coming from north-eastern part of India and staple to people living in parts of Sikkim contains 342 calories in a plate of 10 pieces. Famous in the eastern region of Bengal and adjoining areas, fish curry also commonly known as Macher Jhol adds 205 calories to your diet for a single serving of medium sized bowl. It is a special variety of rice available locally and its 100 grams serving amounts to 111 calories. It translates to sweet curd. It has a brownish tinge and is loved by people here. You cannot miss having this dish, if you visit this region. 100 grams serving contains 179 calories. 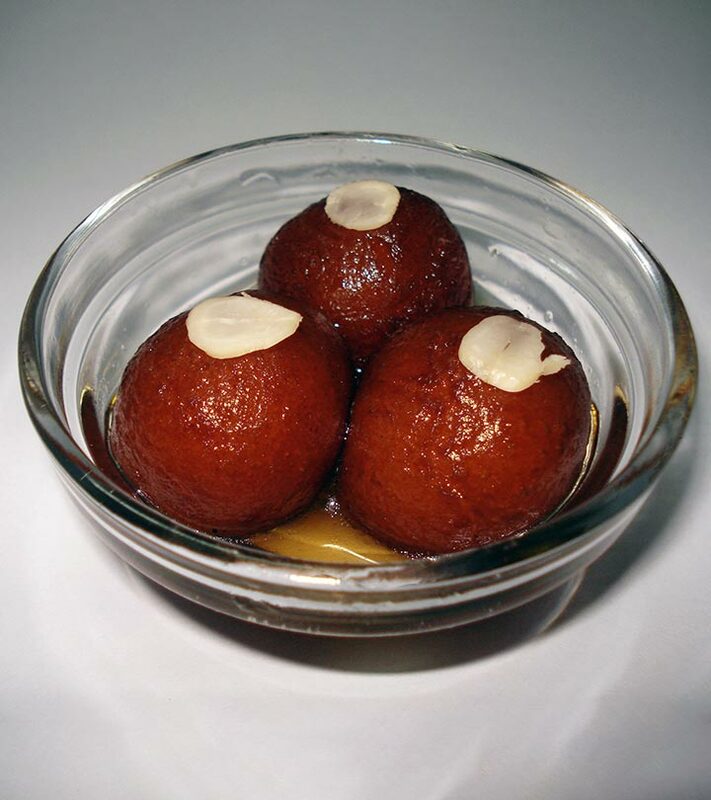 Roshogulla is a sweet dish made of Indian cottage dish and dipped in sugar syrup is for the people with a sweet tooth. 100 grams of it will add 186 calories to your diet. 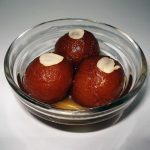 A typical sweet dish, which is very light in taste and texture is a part of the daily diet of the eastern region and is generally had after the meal as a dessert. 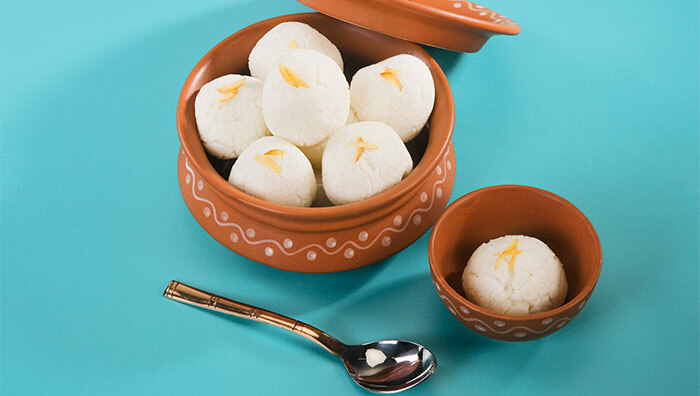 One piece sandesh carries 147 calories. Through the expansive display of food chart given above, we can clearly see that every region has a wide spread of delicacies for every course in a meal. The staple food of all the regions has an average value of calorie, which is enough to meet the daily demands of an individual. Hence, a thorough study of the calorie details will help you in customizing your diet plan and will make you take a step closer to the ideal state of fitness. 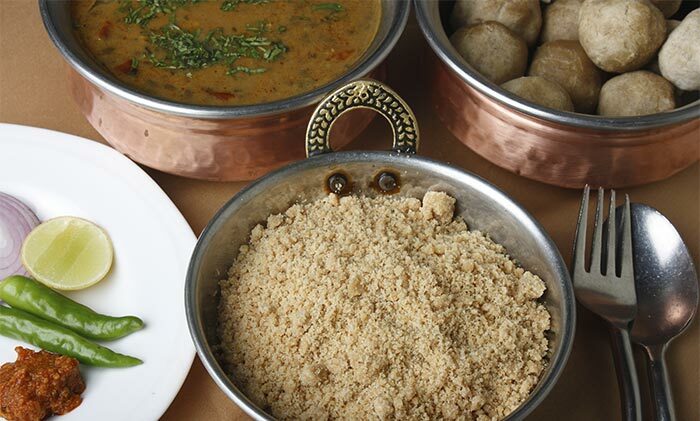 Which is your favorite Indian cuisine? Do you know about its calorie content? Share with us in the comments section below.